Our Young Guns profile takes a weekly look at some of the young talent across the advertising, ad tech, marketing and media sector in Australia. It aims to shed light on the varying roles, people and companies across the buzzing industry. 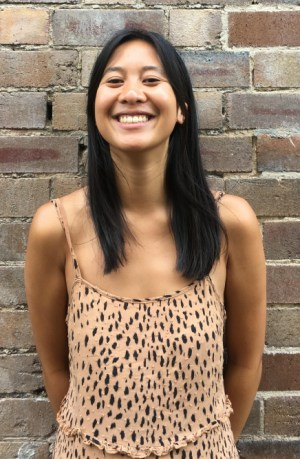 Today we speak to Blue 449 client planner Laura Tran. What were you doing before this job and how did you get this gig? I started at Mindshare during my last year at uni and then tested the waters at a creative agency. I reunited with media again through a friend, when she told me about her new role at Blue 449, and I’ve been here ever since. What were your real and cliché expectations of working in the industry? Advertising is all about big ideas and bad stick figure drawings. How does the reality match up? Think big but make sure the output is measurable and delivers against your brief objectives. Sometimes you get briefs that don’t need a big idea, and those ones can be just as challenging. Not much need for stick figures, but excel is your best friend. How would you describe what the company does and what does your role involve? The client planning team is essentially the central nervous system of the agency, we collaborate and coordinate deliverables with all departments, publishers and clients to manage and consult on projects. The people, and also the perks of Friday lunches don’t hurt. Any major hard learnings in the job so far? Work smarter, not harder – it’s a fast paced industry so try your best to be organised, delegate and manage timings to save yourself the stress. If you had to switch over to another department, which would it be and why? I really like the client department because we have the opportunity to get involved with all departments. I feel like I get the best of both worlds, where I can learn about planning social, creating dashboards, etc if I wanted to. What's exciting you about the industry right now? How on demand streaming services are shaking up how consumers consume content. It will be interesting to see how the industry accomodates to this shift in content consumption, like Channel 10’s pilot week. What concerns you about the industry and its future? Sometimes we can get too caught up in the numbers, but we just need to remember we are talking to consumers like ourselves – so make outputs relevant and engaging to get our message across. Who's your right hand person/who guides you day to day? Marrion Bell (Client Director) and Darrell Pont (Client Manager) – one team one dream! And your almighty mentor that you hope to dethrone? Marrion and Darrell as above. Career-wise, where do you see yourself in 2020 and how do you plan on getting there? Still doing something I’m passionate about and learning something new every day. Talking to people, reading and art galleries. Tell us one thing people at work don’t know about you? My first internship was at Blue 449 when it was Match Media and I was figuring out what media was – 4 years later and I am back where it all started. I don’t have a favourite but the most memorable ads at the moment are the Koala mattress ads – quirky comms that gives a mundane product a personality.